Arctic, however, had become evident during his medical studies from 1810 to 1814 at the University of Tartu in Estonia, Russia. By the time he began teaching biology and anatomy at the University of Königsberg in Germany (1820-1825), Baer dreamed of a short expedition to the coast of the White Sea. His first expedition, however, did not occur until 1837 when he was a member of the St Petersburg Academy of Sciences in Russia. Baer's expedition to Novaya Zemlya lasted from June 24 to September 11,1837 (in Novaya Zemlya from July 19 to August 31). In addition, Baer carried out investigations on the Kol'skii Poluostrov (Kola Peninsula) and on the islands Tri Ostrova. Accompanying Baer's expedition team was a Russian polar explorer of Polish nationality, captain A. Ciwolka, the Baltic-German geologist A. Lehmann, a preparator, and a painter. A brief but successful expedition, it marked the first time in the history of Arctic exploration wherein the primary goal of the expedition was not to discover new territories but to conduct complex investigations into the natural conditions of Novaya Zemlya. The first scientist-explorer to describe the flora and fauna, climate, geology ,and the physical geography of the islands, Baer further distinguished himself by analyzing the hydrology of the Barents and Kara seas as a result of the expedition. 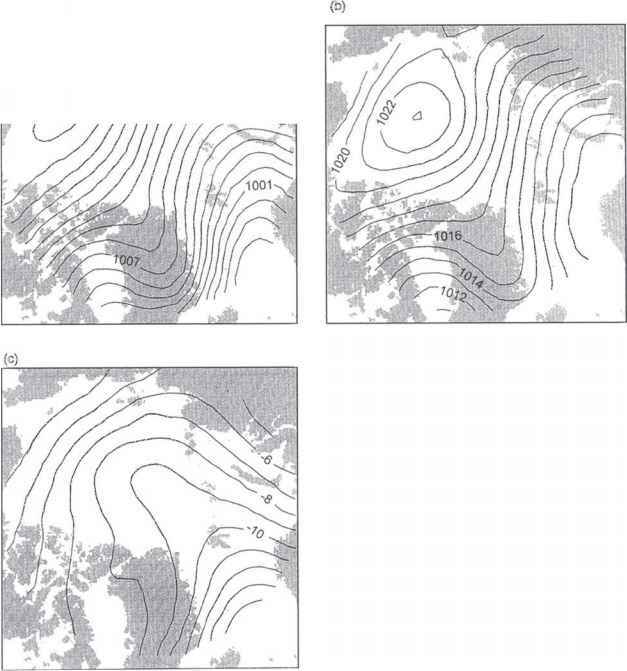 His articles on the nature of Novaya Zemlya remained for over 30 years signal studies for other surveys on the island group (Tammiksaar, 2000). As Baer did not succeed in carrying out all the investigations he had planned in Lapland, he began preparations for another expedition. Baer carefully planned to launch an expedition to Russian and Norwegian Lapland as early as 1839, but the trip was delayed and took place between June 16 and September 12, 1840. Baer's traveling companions included Alexander T. von Middendorff, a Baltic-German zoologist, among other noteworthy participants from St Petersburg University. During the expedition, Baer investigated the zoology of the coastal areas of the Kol'skii Poluostrov (in particular, fish biology) as far as the Norwegian border. However, Baer did not publish any substantive scientific papers from this expedition. One of the many crucial outcomes of Baer's organizational activities conducted in Russia and abroad included the expedition of Alexander T. von Middendorff to East Siberia (1842-1845), which he helped initiate, arrange, and popularize. The Middendorff expedition aimed to investigate the physical peculiarities and geographical distribution of permafrost in Siberia. Baer not only formulated the goals of the expedition but also compiled critical instructions for Middendorff, and authored a special study on permafrost, defining the general directions within this field of investigation (Baer, 2001). Proceeding from the physical, geological, and geographical suppositions accepted at that time, and using a comparative-historical method, Baer put forward a conception of permafrost as an independent natural object. Furthermore, Baer laid the basis for geocryology as a nascent discipline (Tammiksaar, 2002). Among the first to investigate the glacial era in Russia, Baer nonetheless did not consider the theories he developed to be proven even in the last years of his life (Baer, 1986). Owing to Baer's precedent and talents, the tradition of organizing geographical expeditions (for which the St Petersburg Academy of Sciences had been famous in the 18th century) was revived at the Academy at the end of the 1830s and the early 1840s. In addition to the awakening of Russian Arctic research, Baer succeeded in linking the activities of separate ministries and departments in the geographical investigaton of Russia, which until then had been scattered. Correspondingly, his initiative led to the establishment of the Russian Geographical Society in 1845. The serial publication Beiträge zur Kenntniss des Russischen Reiches und der angränzenden Länder Asiens (26 volumes, 1839-1872), founded by Baer, provided the European scientific public with new geographical investigations on the Russian Empire. Four of these volumes (numbers 1, 4, 7, and 9) treated the natural history and economy of Russia's Arctic as well as broad ethnographic studies of the native peoples of Siberia. Although the biologist Baer never intended to become a geographer, his expeditions to Novaya Zemlya and Lapland—intended as zoological expeditions—greatly extended the framework and development of physical geography not only in Russia but throughout Europe.